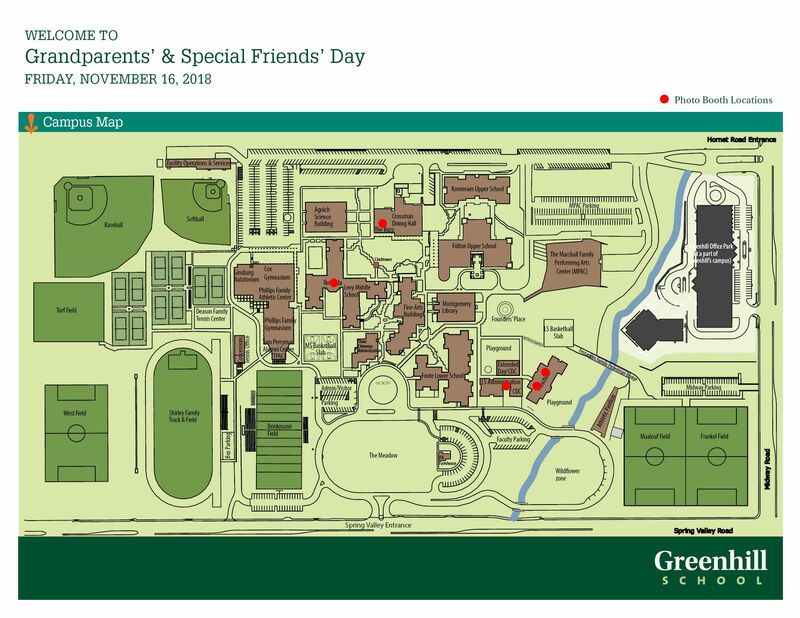 We invite you to Greenhill's Grandparents' & Special Friends' Day on Friday, November 16, 2018. 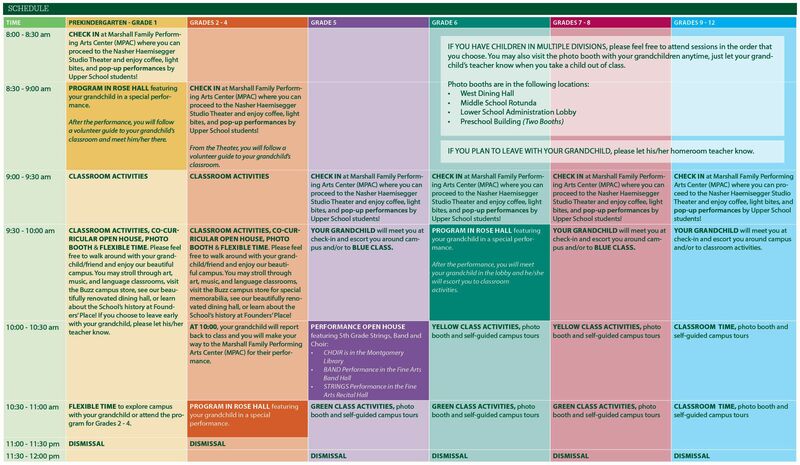 Please note the staggered check-in times and plan to attend per your grandchild’s grade level. If you have children in multiple levels, you may choose when you’d like to attend. A full schedule for the day will be distributed at check-in. Prekindergarten - First Grade 8:00 a.m. 11:00 a.m.
Second - Fourth Grade 8:30 a.m. 11:00 a.m.
Fifth - Twelfth Grade 9:00 a.m. 11:30 a.m. Valet Parking will be provided at the Marshall Family Performing Arts Center and golf carts will be available to assist in campus transportation if needed. If you have any questions or concerns, please contact Theresa Jones at (972) 628-5681.